Does you Air Conditioner Leak? Leaking air conditioners cause damage and can happen at any time. Years of experience tell us that air conditioners leak predominantly at the beginning of summer and without warning. As soon as the weather starts to warm up and as we swap our air conditioner mode from heating to cooling many aircon users experience leaking and unfortunately damage to furniture, carpets and expensive electronics. Why do air conditioners leak more as soon as summer hits? This can be attributed to reverse cycle air conditioners and directly with how they function. If you are an air conditioner owner you probably will have noticed the small drain pipe ( condensation drain) located mostly near the outdoor system. Have you noticed during winter no water comes out of this drain…. during winter you will notice the water leaks from under the outdoor condensing unit. This is normal and because the cycle has been reversed for winter and in affect the indoor and outdoor units operation have been swapped. In winter the indoor evaporator becomes a condensing unit instead of the outdoor unit blowing out hot air the indoor unit now blows hot air and the outdoor unit blows the cold air. Through winter the condensation drain is not being flushed with constant condensation draining away. Over winter pan contaminants like mould, slime and dander can dry out and hibernate waiting to block drains as soon as the condensation from the indoor coils starts flowing again. Another problem we see is Geckos and other pests nesting in High wall split air conditioners over the winter months . We have cleared many drains from the remains of gecko eggs , cockroaches faeces and polystyrene casing particles which have been caused by these pests eating and nesting in evaporators. How to fix my leaking Air Conditioner. Preventative maintenance is always the best practice. If you wait for a leak to occur you will pay a premium and be inconvenienced with possibly no air conditioning when you require it or damage to your property. We know of many cases where unscrupulous air conditioning contractors overcharge between $175 – $300 as they know you require their services urgently to rectify the problem. A Sanitair™ winter and pre summer clean and sanitise will make sure your air conditioner is clean, healthy and ready for summer minimising the occurrence of any summer disasters. A full Sanitair clean and sanitise will not only assist in the prevention of condensation leaks but it will make your system run quieter, smell better and you will enjoy savings of up to 30% off your running energy costs. Call your local Sanitair™ Licensed Technician for their current introductory offers, for a full Award Winning service that takes approximately 1 hour to complete. Every full machine clean is backed by the Sanitair™ 12 Month Mould Free Guarantee. Now that’s a breath of Fresh Air. Contact your local Licensed Sanitair™ Technician. Clean, healthy Sanitised air is important because it impacts our health. However, air quality is of an even greater concern to people living with – or affected by- chronic respiratory conditions. One of the most common chronic respiratory conditions in Australia is allergic rhinitis affecting about 15% of the population. It is also commonly referred to as hay fever. Air impurities can easily trigger an allergic rhinitis attack. Air Conditioning Cleaning is vital. 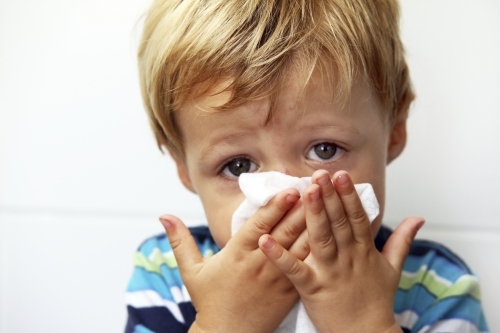 An allergic rhinitis attack is trigger by an allergen in the air. If an individual that suffers from allergic rhinitis breathes in air impurities – such as mould, dust and dirt particles, pollen, volatile organic compounds, etc. – his/her body suffers a hay fever attack. Air quality directly influences hay fever attacks. While there is not much that any of us can do about the quality of outdoor air (except may be cleaning the areas around our homes, neighbourhoods, educational institutions and work places), we have full control when it comes to indoor air quality. It is crucial to note that having better indoor air quality is one of the best preventive measures against hay fever attacks. This is because most people spend most of their time indoors; be it at home, work, or school. Studies have shown that level of contaminants and pollutants in indoor air can be 2 to 5 times – or in some cases up to 100 times – higher than outdoor air. This is the main reason why in most countries indoor air pollution is in the list of top 5 urgent environmental risks to human health. One of the most effective ways of solving the problem of poor indoor air quality is by making sure that air conditioning systems at schools, work, hotels, or any other premises are well maintained. It is not only a matter of servicing the AC units, but also about cleaning them. This is where you need the services of a professional, Sanitair™ technicians are professional fully qualified and licensed in air conditioning cleaning. A professional AC cleaner will ensure that they clean and Sanitise your AC unit so that the quality of air is both clean and Sanitised. They achieve this by using a variety of cleaning tools and products. A clean and sanitised air conditioning system goes a long way towards preventing chances of an allergic rhinitis attack in any indoor scenario. It is therefore crucial that all AC systems are well maintained and cleaned to minimize the effects that poor air conditioning may have on individuals suffering from hay fever. Call Sanitair™ for your air conditioning cleaning 1800 130 168. Respiratory conditions, like asthma, impair the normal functioning of the human airways. The airways include the lungs and the air passages that are responsible for transferring air from the nose and mouth to the lungs. These conditions can be acute (short term) or even chronic (long lasting). They cause problems in breathing and lead to ill health. In severe cases, they can lead to disability or even death. Although there are many asthma triggers (things that can cause an asthmatic attack), the most common triggers are air impurities. While there is not much that can be done about the outdoor air, the quality of indoor is a totally different matter. Indoor air quality is regulated by the air conditioning system. If the AC unit is well maintained and cleaned, then your home or property will have clean and sanitised air. This means that there will be no (or very small amounts of) impurities in your indoor air. This way, you can prevent or minimise attacks that occur due to poor indoor air quality. In order to ensure that you have the best indoor air quality, your air conditioner system needs to be well maintained and cleaned by a Professional air conditioning cleaning technician. A professional Aircon cleaning technician knows how to properly service and clean your AC system. He/she has specialised equipment and products to ensure that your air conditioner is cleaned properly producing the healthiest air possible. The benefits of good air conditioning are numerous. First, your home will smell cleaner and have healthier air to breathe. This will reduce the chances of asthmatic attacks to your loved ones. Second, your family will have better general health. Also, with reduced chances of asthmatic attacks from poor indoor air quality, you will be able to save more on medical costs and your family will have less asthma-caused sick days. It is important that parents and home owner realize how poor indoor air quality can adversely affect family members that are prone to asthmatic attacks. They should take the necessary steps to ensure that the air in their homes is clean and sanitised.